Until 2012, Armstrong was remembered as one of the most prolific cyclists and an inspiration to millions of people around the world. Overcoming cancer (in a later interview, Dr. Reeves who was first visited by Armstrong for cancer symptoms, admitted he lied about the 20%-50% survival chance, saying that realistically it was almost none), he came back to win Cycling’s most prestigious and gruelling race, the Tour De France a record 7 times from 1999-2005. Then a former teammate, Floyd Landis, filed a case against Armstrong, under the Federal False Claims Act, stating he had defrauded the government. The US Anti-Doping Agency (USADA) accused him and filed a complaint stating he was the kingpin of a doping operation and was forcing teammates to take unauthorized Performance Enhancing Drugs. He finally confessed to doping during his successful reign from 1999-2005 and was officially then, striped of all his accolades, banned from competitive cycling for life and was charged. 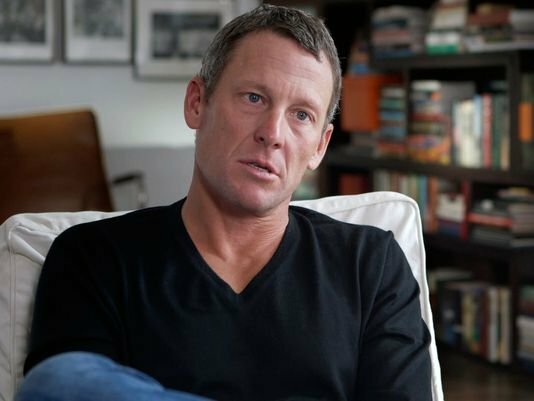 In order to add even more weight to the samples gathered by the USADA, former teammates who doped alongside Armstrong, testified against him and conveniently received shorter, lighter punishments. 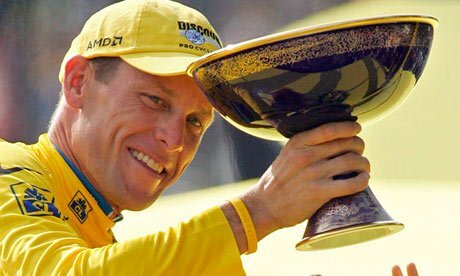 Following numerous condemnations by many authoritative figures related to the sports, new lawsuits being filed against him, sponsors leaving him; Armstrong made the news about when he will be riding in the Tour De France’s stage 13 and stage 16. This will be with a group led by Former footballer Geoff Thomas, who plans to ride along the 2015 Tour De France Route, 1 day before the competitive Peloton ride. Armstrong aims to raise money for Cure Leukaemia. 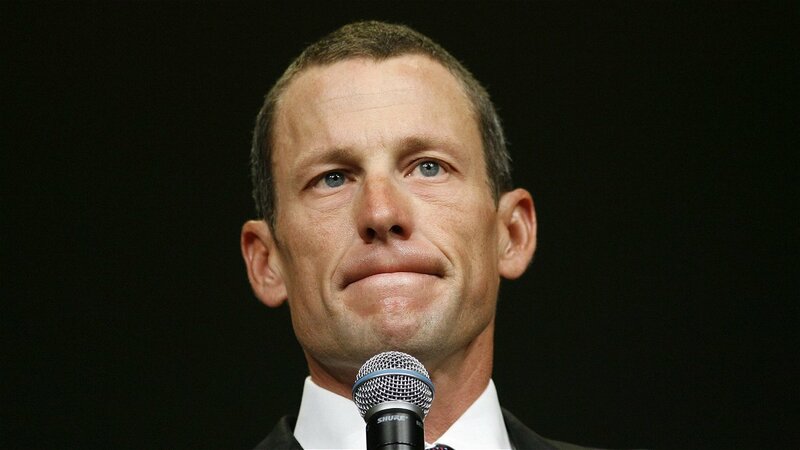 Now, Armstrong is not violating any ban imposed on him, as it’s not competitive and it’s a ride for Charity. Many people are not happy about this. Team Sky’s General Manager, Sir David Brasilford says Armstrong has already damaged the sport enough. “For the sake of all clean riders in the Peloton, who’ve already suffered enough from that era, leave them alone – enough’s enough,” Brasilford has said. UCI’s (Cycling’s governing body) president, Brian Cookson is not happy about Armstrong’s decision to be involved, claiming he will be damaging the integrity of the clean riders, authorities and the race. They are not alone. Many fans are also hurling abuses at his decision. Yes, He has doped. And I am not saying that should not go unpunished. But if there is anything evident from this, the total handling of this case is nothing short of a witch hunt. He has been punished and rightly so. However, if we take into context the full picture, why were people who testified against him given shorter punishments? George Hincapie who admitted he doped with Armstrong from 1999-2005, has had results from 2004-2006 removed. Christian Vande Velde who doped in his time with US Postal (same team as Armstrong from 1998-2003), had his results eliminated from 4th June 2004 till 30th April 2006. Secondly, it was a known fact that many of the cyclists in that era doped. In such a case, he won on a level playing field! If everyone doped, why not disqualify everyone who doped? And that too,to the full extent of their confessed doping period! No, we needed to pin down only 1 man and we don’t care about the sport. Doping is pretty much still a part of the sport and it might continue to be that way. Cases of doping by UCI pro team members have come out even after the Armstrong case. So, how has convicting him ever changed the sport for the good if these offences still prevail? And let’s face it, the man is still an inspiration. We all seem to have forgotten the amount of good he has done off the field as well in raising hundreds of millions of dollars for charity. Another fact we can respect about Armstrong is his mental toughness. He has confessed, he has admitted his errors but is willing to take the flak. Many athletes who have been found guilty of doping seem to always take the blame-game route. Armstrong hasn’t and, there are very few people who can withstand such pressure. Moreover, overcoming Cancer and to return to the top of a sport is simply nothing short of an impressive rise, and even if he doped, he did so on a level playing field. So there is something deep-rootedly admirable about him, when he can beat them all despite each one of them having committed the same deed. Armstrong’s participation should thereby not be taken negatively. Its just 2 stages and is a charity ride. He is not doing the sport any harm. In fact, he ought to be given a chance of redemption. There are many athletes across various disciplines, who have doped or committed other morally unacceptable crimes. Alex Rodriguez used Steroids as MLB player but he has never been banned, and was supported by his teammates when he came out in his admission. 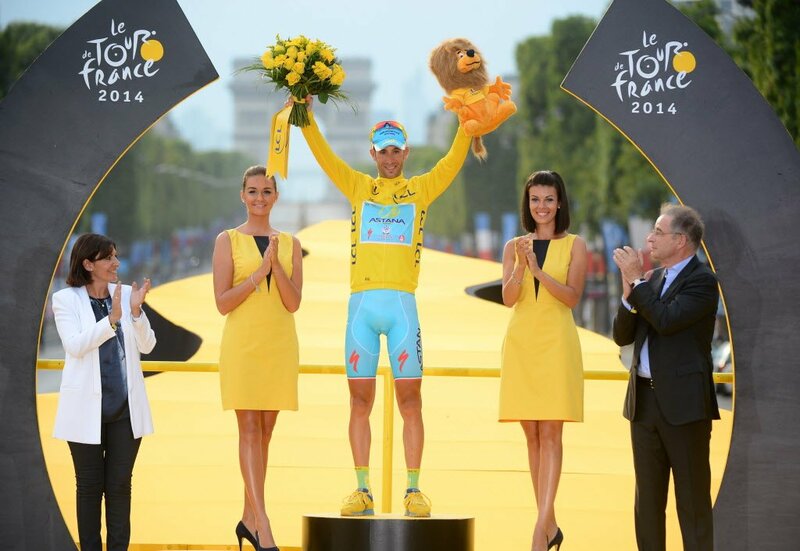 Why can’t Lance Armstrong receive a similar treatment? He, like anyone else, should be given a chance to cleanly redeem themselves. To see Armstrong ride in the Tour unofficially a day before, one can only wish luck to him and his teammates for raising money for a cause as good as Cure Leukaemia.